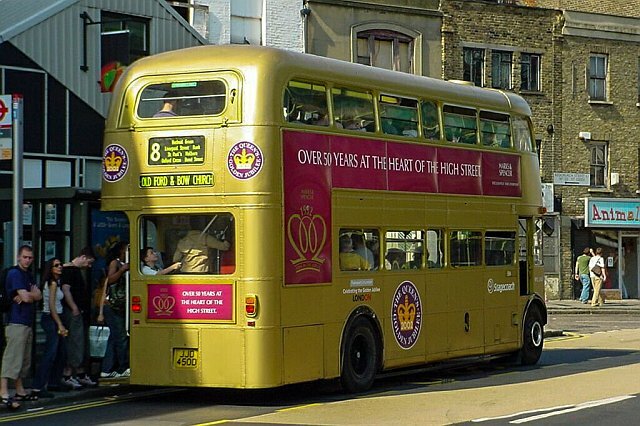 The Queen’s Golden Jubilee was in February 2002, and for a period of three years from 2002 to 2005 a number of London’s buses were painted in gold to commemorate the occasion. 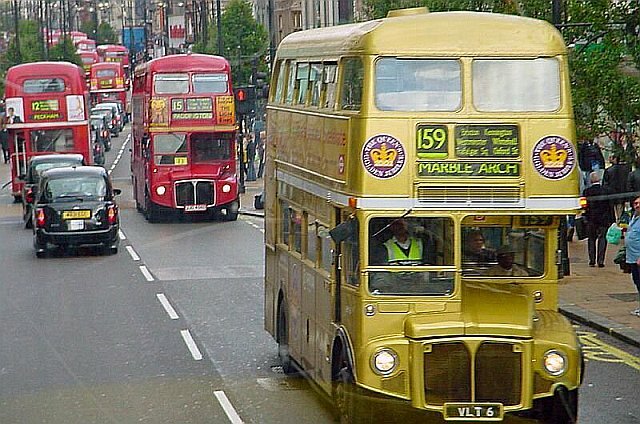 Most however worked 2002-04 thus this month would be roughly halfway between those points in time, this being fifteen years since the buses were seen on London’s streets. 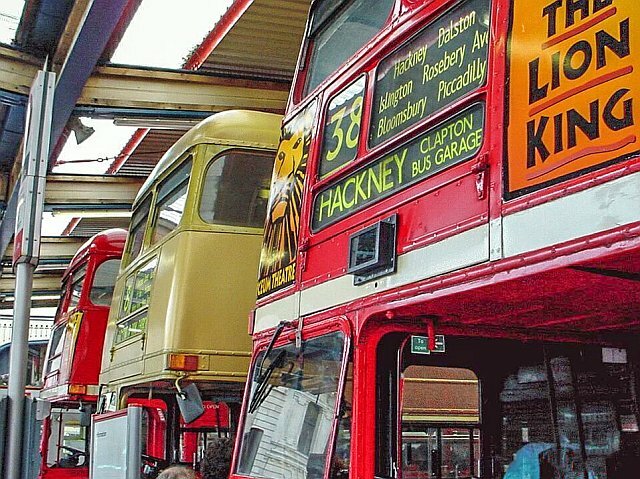 A book, London’s Golden Jubilee Buses by David Stewart was published in November 2002 covering the buses up to that point. 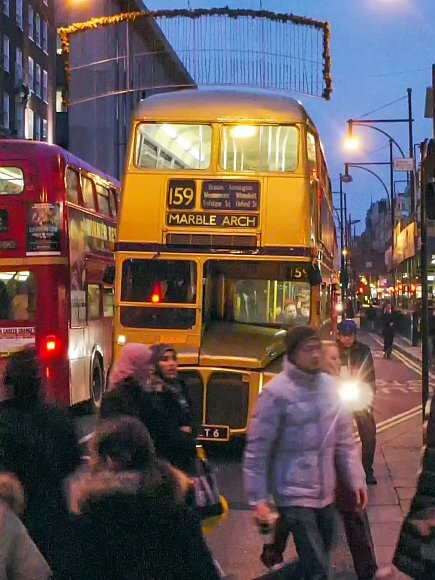 Stewart’s book does not cover the periods after that time which the buses were seen running. Thus this article covers the period 2002 to 2004, including those post David Steward’s opus. I’m keeping this post simple as I need to rest my arms and hands which have suffered recurring injuries due to constant typing. As many of you will not realise and perhaps not even remotely understand either, typing is entirely my only means of communicating. It means I type away far far more than most others do. A number of posts throughout the summer were dropped because of this problem and the recent intensive work I did on the ‘Victorias’ (Queen Victoria in Switzerland, the Victoria Line’s 50th anniversary, Victoria station upgrade etc) hasn’t exactly helped things along. Thus this post is mainly pictorial with some simple descriptive text for each photo. 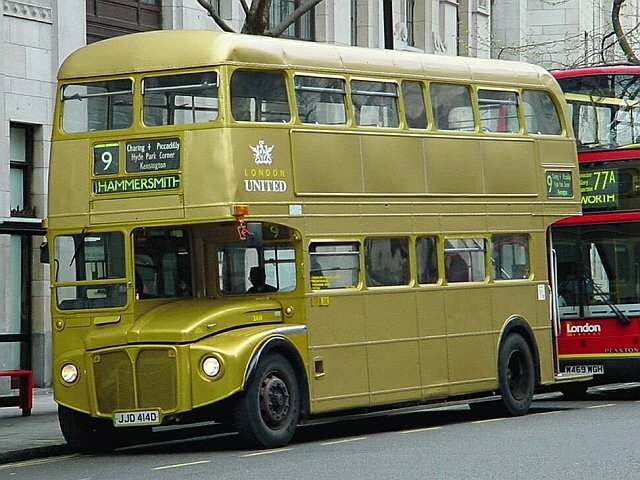 This, with its one bus, RM6, was the longest serving Golden Jubilee bus route. 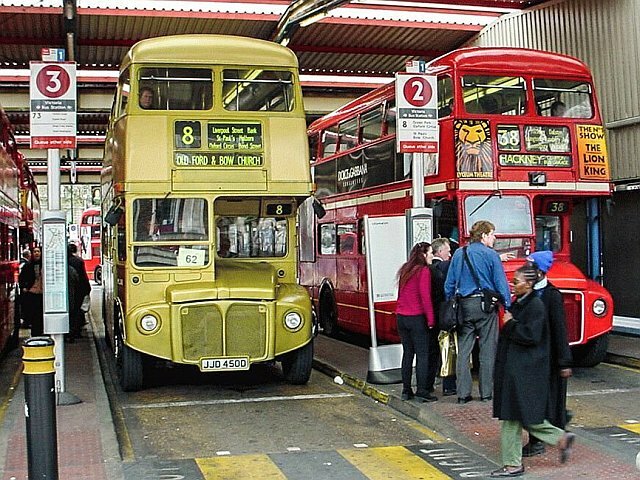 RM6 worked the 159 right up to December 9th 2005 just before the route was converted to one man operation. The picture below is from Wikipedia of RM6’s final days on the 159. 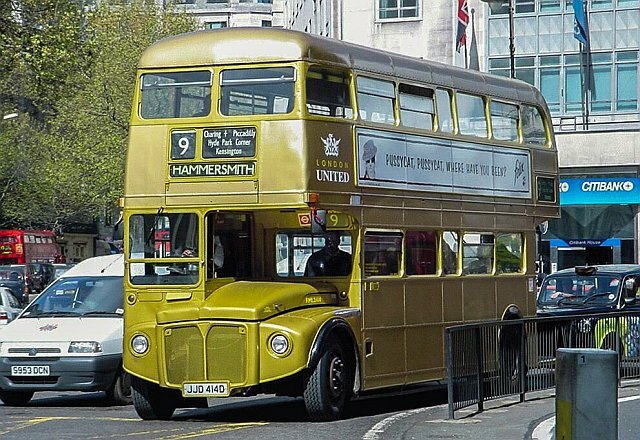 There are perhaps still a couple or so RM’s in Gold Jubilee Livery that are used for private hire work, whilst the one and only RT is still in its gold livery apparently. 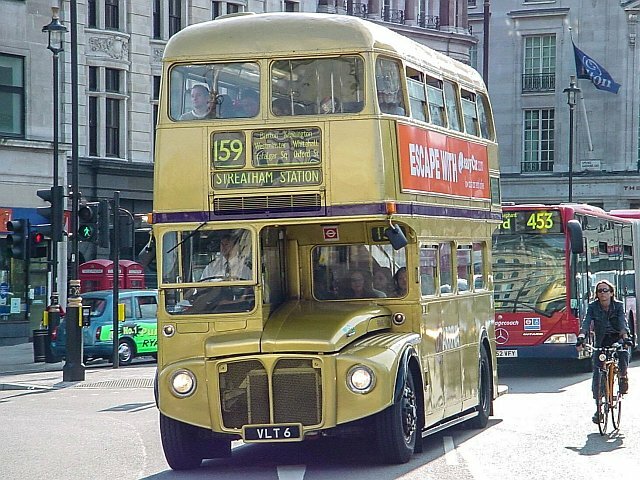 Part two features RT4712 which was specially painted for the Golden Jubilee.